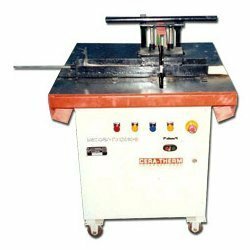 We offer superior quality bamboo slicing machines that are energy efficient, user friendly, long lasting and cost competent. 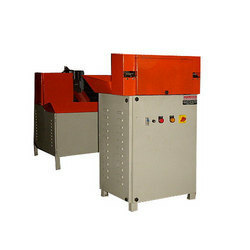 The machines are used for making thinner slats of size ranging from 1mm onwards. These sliced slats are further used to produce square or round agarbathi sticks. Moreover, the machine is also used to develop round stick for window blinds and other bamboo based handicrafts. Our bamboo slicing machines are available in standard models and we can also design customized machines, owing to our expertise in the industry. We offer highly efficient Bamboo Square Stick Making Machines that makes stick for Agarbhathi. The machine can be easily operated to split agarbathi sticks, slice bamboo sticks, flat slats of bamboo into square agarbathi sticks. 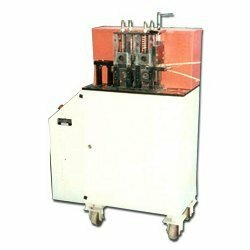 We offer machines at very competent rates and assure that client is satisfied with our product and service. Our machines are quality tested and approved for performance, design, technology and safety. We manufacture Bamboo Splitting Machine engineered to perfection and known for delivering optimum performance in demanding work conditions. Our bamboo splitting machines are designed and fabricated in conformity with the global standards. The machine splits the round bamboo into number of smaller width slats, thus making it suitable for desired usage. Compact design, energy efficiency and maximum output of our machine make them high in demand among our clients. Power supply: 3 phase 415 V 50 Hz Ac supply. 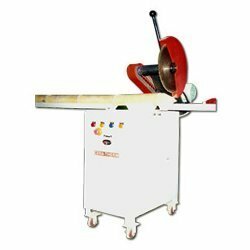 We manufacture superior quality bamboo slicing machine that is known for energy efficiency, user friendliness, long lasting and low maintenance. The bamboo slicing machine is used for getting thinner slats of bamboo in size ranging from 1mm onwards. These slats are used to produce square or round agarbathi sticks. The machine is also used to develop round bamboo stick for window blinds. Our bamboo slicing machines are competently prices and deliver reliable operation for years. We offer highly quality bamboo square stick making machine that makes sticks for agarbathi industries. 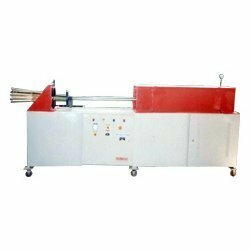 The machines can be easily operated to split agarbathi sticks, slice bamboo sticks, flat slats of bamboo into square agarbathi sticks. These are highly efficient machines contributing in increase of production and quality at client’s end. The machines are competently priced and also supported by post sales maintenance services provided by our company trained service engineers. Our proficient team holds expertise in designing and fabricating standard as well as custom modified bamboo stick polishing machine as per international standard. The machines are precisely engineered in adherence with client’s technical specifications and application demand. Our high performing bamboo stick polishing machines are used for polishing the processed bamboo sticks. We are a leading Indian manufacturer of bamboo cross cutting machine. These machines find application in cutting the bamboos in required sizes for handicrafts, basket making etc. Moreover the machine also assists in removing the knots of the bamboo. Featured with precision designs, energy efficient, long lasting and easy operation & maintenance, our bamboo cross cutting machines are competently priced, as well. Our bamboo stick sizing machines are designed for optimum performance in any given condition. 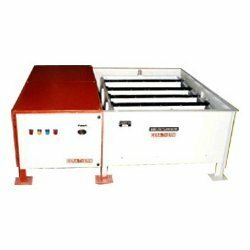 The use of best quality MS and SS assures corrosion resistance and long service life of the machine. 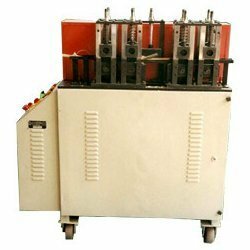 We manufacture these stick sizing machines with utmost precision and accuracy and ensure that client receives value for investment. 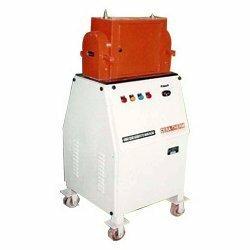 Our machines are known for energy efficiency, compact design, user friendly operations, and long service life. Efficient to make bamboo sticks of variable sizes for agarbathi and window blinds, our bamboo stick sizing machines are competently priced. Power rating: 2 HP motor. 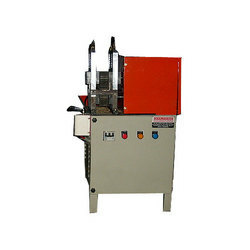 We are a well established manufacturer, supplier, wholesaler and exporter of bamboo knot removing machines. Our range includes standard as well as custom designed / custom modified Bamboo Knot Removing Machines. The machines offered are durable and reliable. As the names suggests, these machines remove the internal knots of bamboo lending it a smooth diameter. This machine makes the bamboo flat / uniform in diameter for the uniform slicing operation. Looking for Bamboo Processing Machine ?